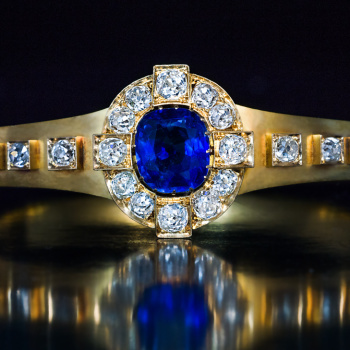 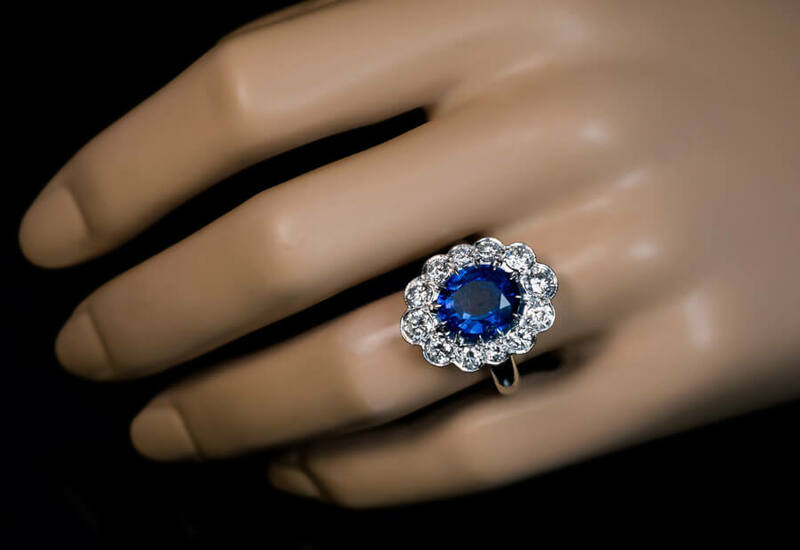 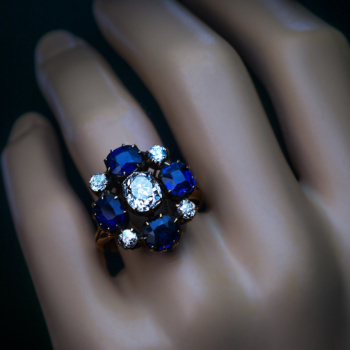 An impressive French cluster ring from the 1940s -1950s. 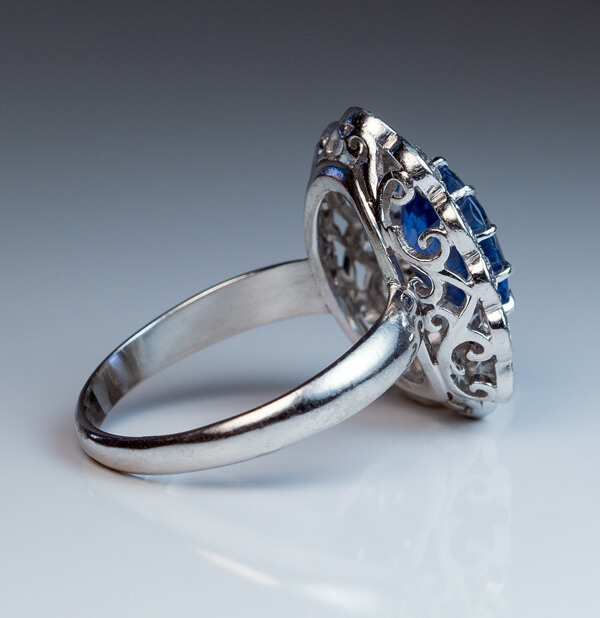 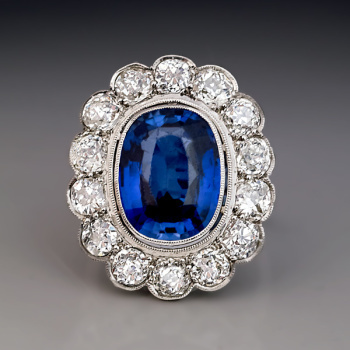 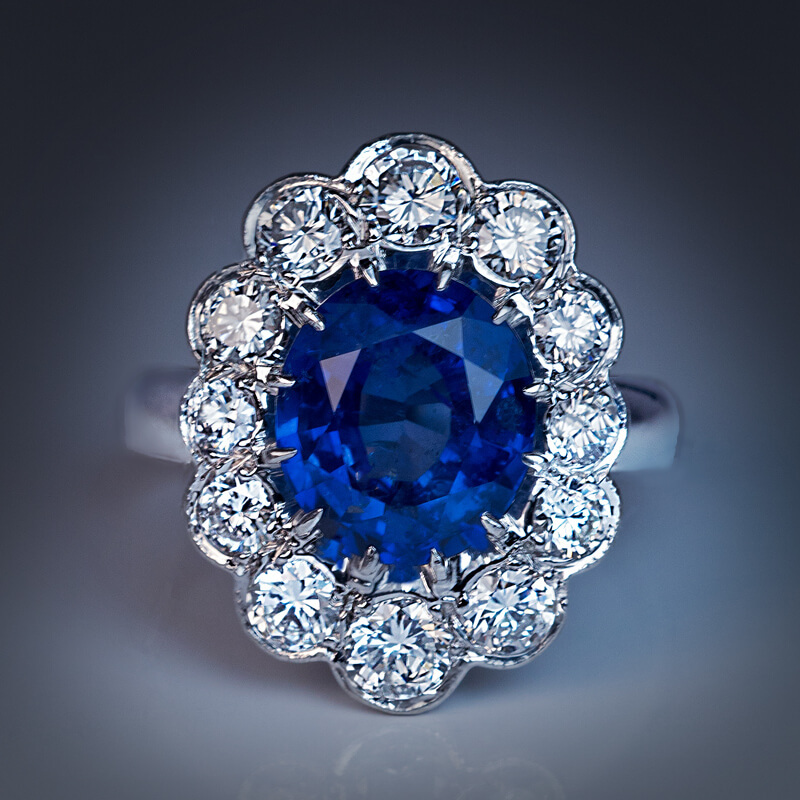 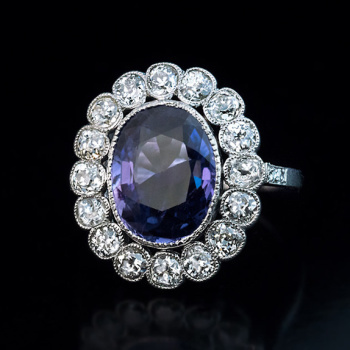 The handcrafted platinum ring features a natural oval blue sapphire (measuring 10.75 x 9.4 x 4.8 mm, approximately 3.88 ct), framed by twelve bright white (F-G color, VS1 – VS2 clarity) brilliant diamonds. 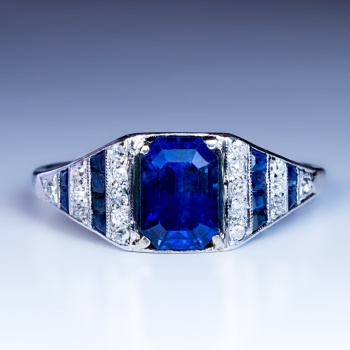 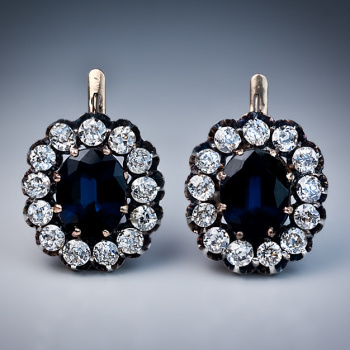 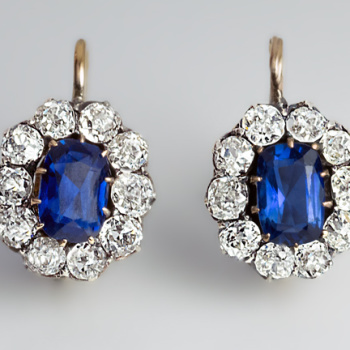 Estimated total diamond weight 2.10 ct. 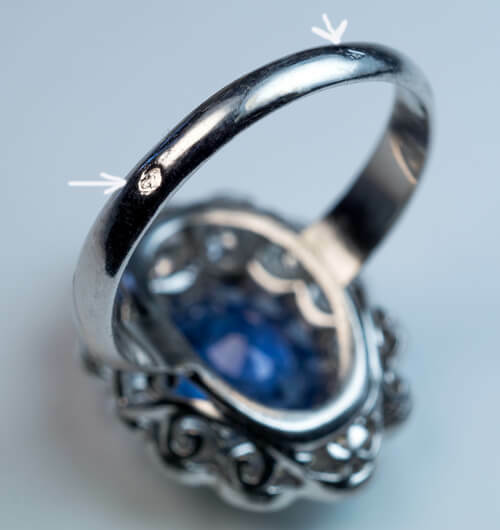 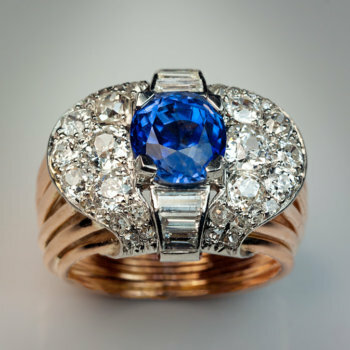 The ring is marked with French dog-shaped platinum assay mark and maker’s mark.